Tete Province is very rich in coal. An estimated 23 billion tons of mostly untapped coal lies beneath Tete. It is expected to become the region’s energy powerhouse built on coal and hydroelectricity. 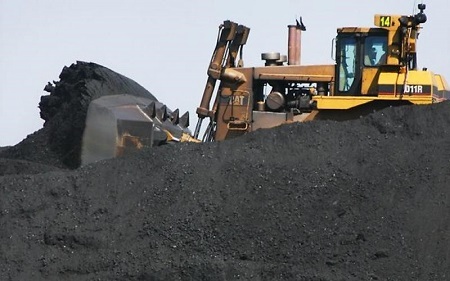 However, local farmer communities have been on the losing side of the coal boom so far, especially since large-scale resettlements forced them out. Earlier this summer, Hussene Antonio walked his herd from a small Mozambican village to some graze-friendly grassland. The land he was heading to once belonged to his community, until several mining companies, including Brazilian Vale S.A., British Rio Tinto, Australian Riversdale Resources Limited, as well as Indian giant Jindal Steel and Power Limited, swarmed to the place with investments worth billions of dollars. Their extensive concession rights cover half the province. The more than 6 million ha they claim includes nearly all the grasslands that herdsmen from the region need access to. Tete Province, where these mines are located, is very rich in coal. It is expected to become the region’s energy powerhouse built on coal and hydroelectricity. An estimated 23 billion tons of mostly untapped coal lies beneath Tete. However, local farmer communities have been on the losing side of the coal boom so far, especially since large scale resettlements forced them out from 2009 onwards. Communities faced problems accessing food and water, as documented by Human Rights Watch. Relying upon promises of Vale and others that access to grazing lands would be maintained, most of the self-sufficient communities ceded their fertile lands by the river. They were relocated to distant villages, at times even 40 km away from the markets in Moatize, with agricultural land of uneven quality and unreliable access to water. On 13 July 2017, a passage through the fences surrounding a large land leased by Vale was blocked by a construction machine digging trenches. Despite many locals were offered housing and resettled kilometres away from Vale’s operation area, the remainders still live no more than meters from the open pits designated by fences. The same people were using that passage to reach the grass- and bush lands, where their livestock can graze and where the herdsmen can gather firewood. For the third time, locals were denied access to the land whereas the two previous attempts of Vale faced strong local opposition, culminating in an agreement between Vale and the local authorities that the gates remain open for locals to pass and pursue their only means of living. Knowing that the agreement prevails and having no other choice than reaching the grassland, Hussene Antonio stayed at the gate protesting the closure. The response was as rapid as it was brutal. When locals gathered with sticks in their hands, Vale Mozambique called for police intervention. As the tension grew, police suddenly opened fire, shooting Hussene Antonio first in the arm. While he was running away from the police, he was shot in the back, this time lethally. After Hussene Antonio passed away on the spot, the population vandalized the construction machine, a generator and some equipment owned by the company. Following the incident, the secretary of local government made a statement, reflecting his despair over the actions from Vale that day. The company supported the funeral ceremonies by providing bags of food, pulse and grain after which a community meeting was held in the presence of Wilco Uys, Vale’s head of operations in Moatize. Wilco Uys asked the locals to respect the boundaries of the concession area pointing out the previous accidents, which caused great casualty to the kids playing around the pits. However, he did not comment on the lack of communication between the company and local government, as well as the breach of continuing agreement on the gate. Instead, he said: “People are opportunists and want to take advantage of the gate to steal from the company. Why are they building their houses next to the forbidden zone? Previously the Brazilian-owned company ignored warnings from local officials that their actions would cause unrest from locals who fear losing their livelihood. This is not the first time that Vale has requested police intervention in conflicts with local communities, with sometimes dire consequences. Hundreds of small farmers are still at odds with Vale and also other coal extraction companies, as well as the Moatize local government. Against the backdrop of the “gate” conflict in Moatize, local pressure over the international companies’ reluctance to cooperate grows. On 26 July, another community in Tete Province, the Cassoca community, stopped the Indian Jindal mining company’s coal trucks from entering the Jindal’s mining site for two days. The reason was lack of progress on their resettlements away from the mine, where 289 families look forward to finding new homes. The community members told the local newspaper Zitamar that they are fed up with the company not fulfilling its promises. Along with serious air pollution, locals are now facing a water crisis after the breakdown of community’s only water pump. The company is said to be negotiating both with the community leaders and the local government at the district level to overcome the dispute. Photo: Mining post in Tete Province. Source: Pambazuka News.